This page comes up with a world map with many little red dots. These dots are the location of the big museums which keep dinosaurs’ skeletons. The user will need to click on them, they will show the address and contact number, so the user can use this information to look for them in search engine or by telephone. 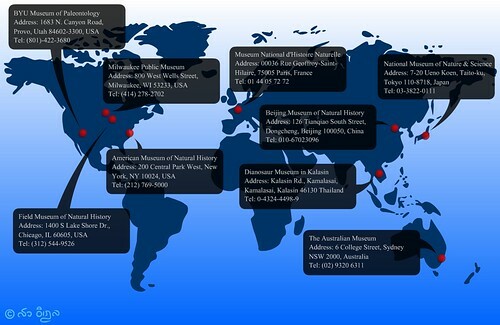 These are the list of museums. Arranged by alphabetical order.